AIRSHOW NEWS: Air Day's Fast Jet Flyers! Two of the world’s best fast jet displays will make their Air Day debuts at RNAS Yeovilton on 13 July 2013. 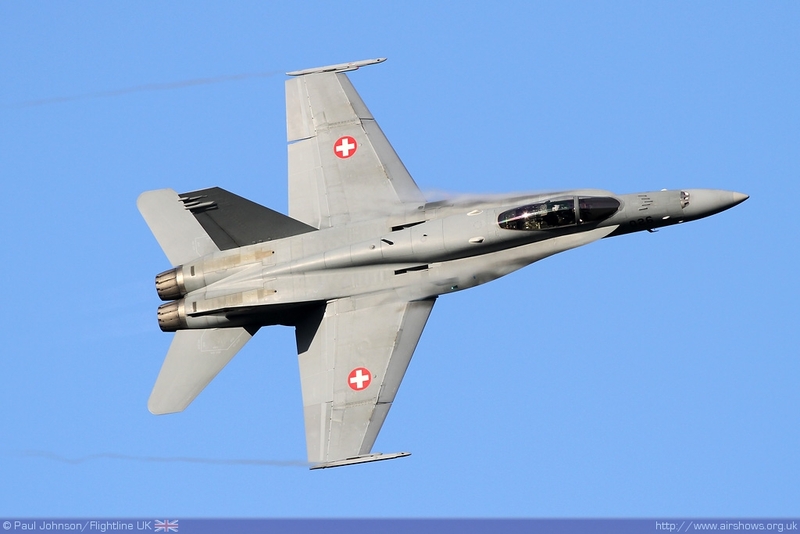 Not currently scheduled to perform at any other UK airshows this year, the Swiss Air Force F/A-18C Hornet and the Czech Air Force JAS-39 Gripen lead an all-star fast jet cast that also features the RAF Typhoon FGR4 and the Belgian Air Component F-16AM. The Hornet’s involvement marks a welcome return by the Swiss Air Force, whose Patrouille Suisse team were a huge attraction at Air Day 2007. Equipped with folding wings and a reinforced undercarriage, the twin-engined, twin-tailed Hornet is a naval fighter through-and-through but also equips several land-based air arms including the Swiss Air Force. This powerful aircraft is capable of speeds of Mach 1.8 and climb at a staggering rate of 50,000 feet a minute. Drawing on these qualities, Captain Bernhard “Beni” Kocher’s routine will blend noise, power and agility into an awesome demonstration, including several spectacular and extremely photogenic flare releases. The Czech Air Force’s Gripens are all ex-Swedish Air Force aircraft leased from Sweden. 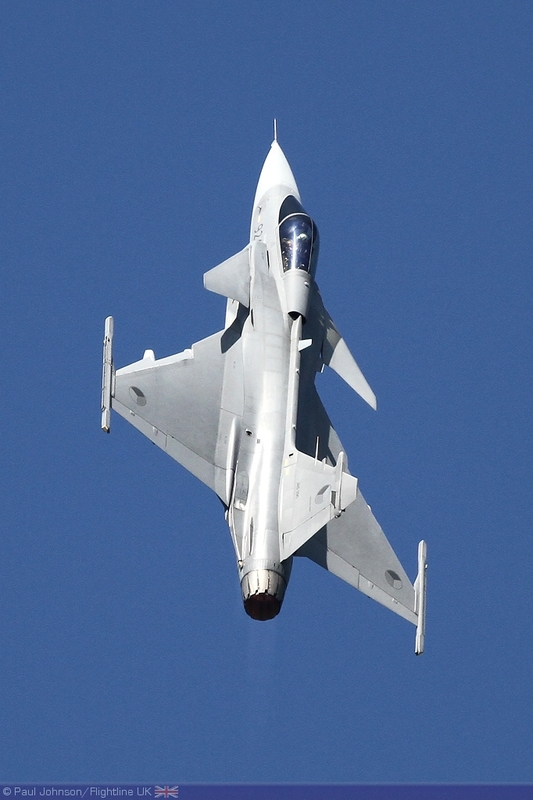 A lightweight, singled-engined multirole design, the Gripen is the latest addition to a long line of Swedish fighter excellence that also included the Draken and the Viggen. Extremely manoeuvrable, it too has a top speed of Mach 1.8 and a 50,000 foot rate-of-climb. 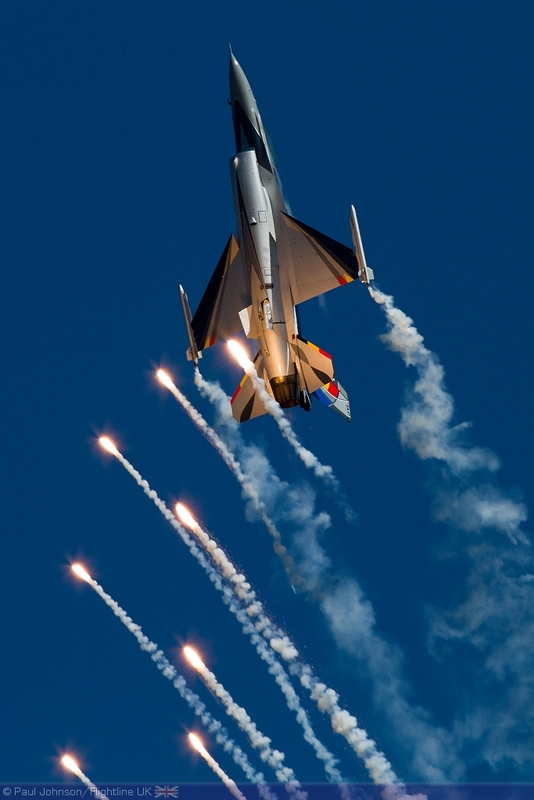 In the hands of its pilot, the Czech Air Force Gripen will demonstrate its darting speed and supreme manoeuvrability. Other fast jets displaying at Air Day will include the RAF’s cutting-edge Typhoon and the Belgian Air Component’s F-16. With an all-new 2013 routine, the RAF Typhoon is returning to Air Day for the first time in several years while the Belgian F-16 is a regular and always-impressive participant, especially when firing flares into the Somerset sky. An additional attraction in Air Day’s static display will be the transport aircraft used to bring some of these aircraft’s support crew and equipment to the show. These will include a Belgian Air Component C-130H Hercules and a Czech Air Force EADS CASA C-295, neither have which have participated in Air Day before. Among Air Day 2013’s other highlights are Avro Vulcan B2 XH558, the Czech Air Force’s awesome Mil Mi-24 Hind attack helicopter, the Royal Navy’s brand-new Wildcat maritime helicopter and many items linked to the show’s ‘Teamwork’ theme, including the RAF Red Arrows, the Royal Jordanian Falcons and the spine-tingling Commando Assault finale. Military Airshows > > AIRSHOW NEWS: Air Day's Fast Jet Flyers!